As part of my 'home overhaul' I also added a little nook for extra learning. 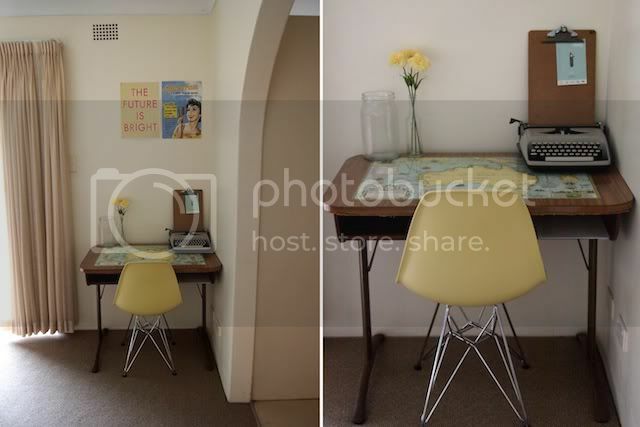 The Australia desk I nabbed at the end of last year for $15 never made it to the blog - but I'm glad I waited until now to share, all clean and looking lovely! I'm certain that sitting at this desk for any period of time will educate me on Australia's discovery, 1600's style. The yellow chair is another thing I've been meaning to share (gosh I've gotten behind!). 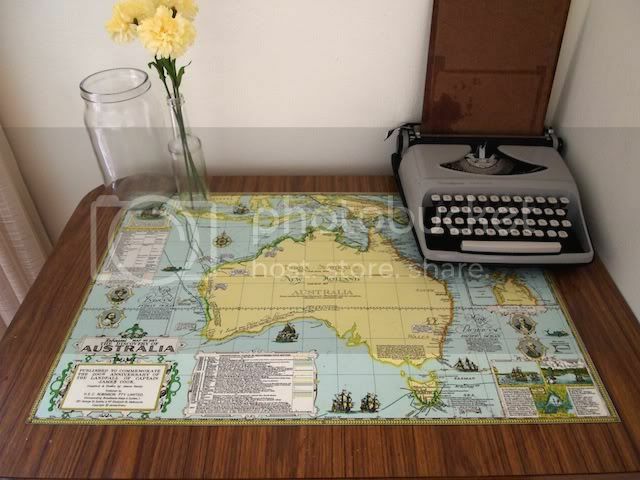 An internet purchase from a company in Melbourne, I bought 2 - one to live at this desk and one at my work desk. They're the perfect shade of yellow and my first step towards having rad furniture in our eventual new home. It's convenient that they match the yellow of the desk so wonderfully!